Blog » 20% off Our Kids Social Safari family event this February! 20% off Our Kids Social Safari family event this February! Our Kids Social are offering 20% off tickets for their Social Safari Event this February when you use the code OKSROCKOUT at the check out! The code is valid until Wednesday 1st February! Book your tickets here. “Our Kids Social came about as we couldn’t find anywhere for us to go at the weekends with our families – including babies. Somewhere we could do things that we love. We were after good music, creativity, space to socialise, something arty, kid-friendly and ideally – a pint. We didn’t think it was too much to ask! However, this ideal place that we longed for just didn’t seem to exist. The three of us (Hannah, Alice and Jo) decided that we would like to have a go at creating this elusive event – and so, Our Kids Social was born. Something for our kids that hopefully other parents would want to bring their families to. During 2016 we have had events in Sale, Didsbury, Stockport and Islington Mill. We already have a calendar which is filling up for 2017 and we can’t wait to be back at Stockport Masonic Hall in Feb. We will also be at Z-Arts for the first time in March and getting our sparkly wellies on and featuring at the amazing Just So Festival in August. 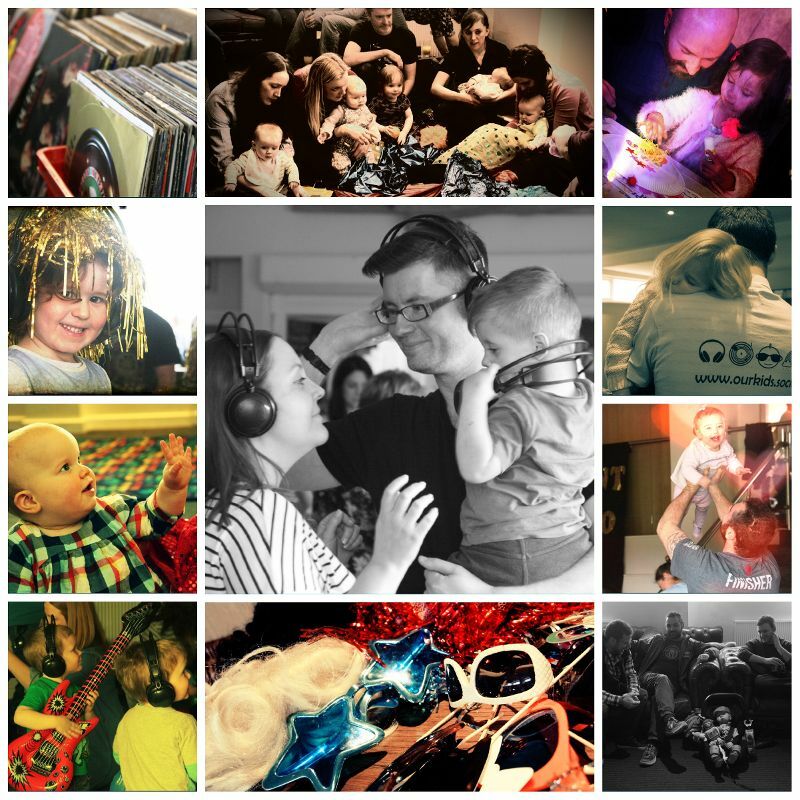 Our events are aimed at families like ours with children aged 8 and under, and include a mix of music, silent disco, arts, crafts, baby multi-sensory, storytelling, toddler classes, face-painting, homemade cakes and always a bar! No two events are the same as we have a different theme each time. We really enjoy doing what we love and bringing it to the families of Manchester in this way. We all have our ‘normal jobs’ and OKS is our small business on the side. It may be small but it keeps us busy and our backgrounds in education, inclusion and design support us in being what we believe is a great team (modest too!). We can’t wait to be back at Stockport in 2017 where we will be holding a Social Safari with the first OKS gig. The Rockin Rhinos are a local band who set about to save the families of Mancunia from bland every day music. We thoroughly enjoyed their Christmas Cracker gig and are so excited about this upcoming collaboration. We collaborate with local businesses at all our events but this is our first band and it is set to be fantastic. There will be two Social Safari events on 5th Feb so that we can ensure as many people as possible attend – our events always sell out in advance. We will have arts and crafts, silent disco, family photo frame, fancy dress up, homemade cakes – and of course the bar. All Safari explorers will be given the chance to make their own animal mask before going into the gig to rock out on the dance floor. We will definitely be joining you there! Tickets are already selling and can be found on our website – along with all other socials www.ourkids.social.